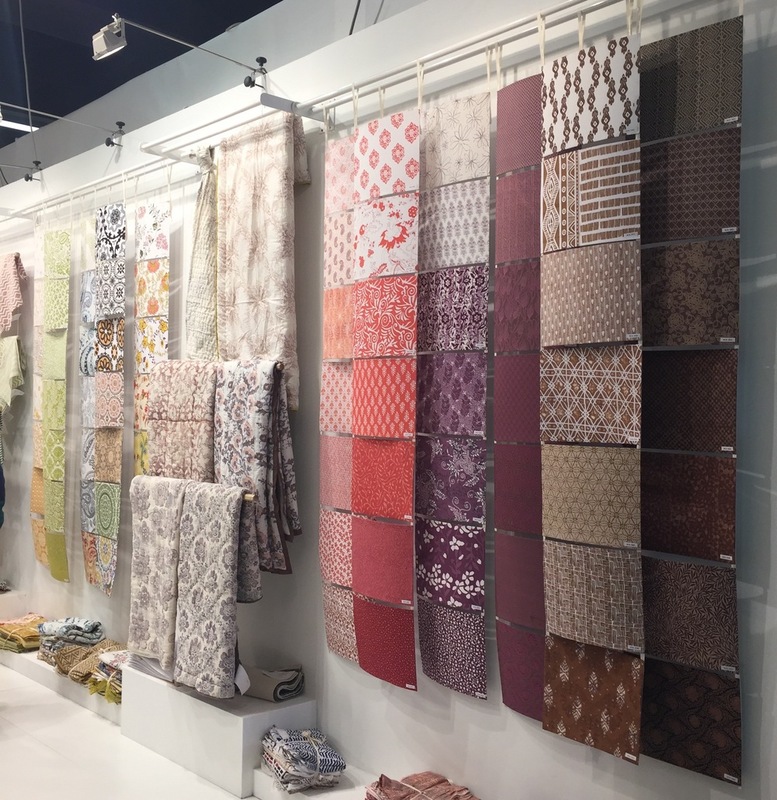 I think I mentioned I have a ton more to show and tell about the Heimtextil show in Frankfurt. Well, today's post Is mostly show. When I hit a major trade show like this, a huge chunk of the takeaway for me is quirky styling and display ideas. Sometimes they are just wacky, but sometimes I can't wait to try them out at home or at a shoot. Often I file them away for future reference. 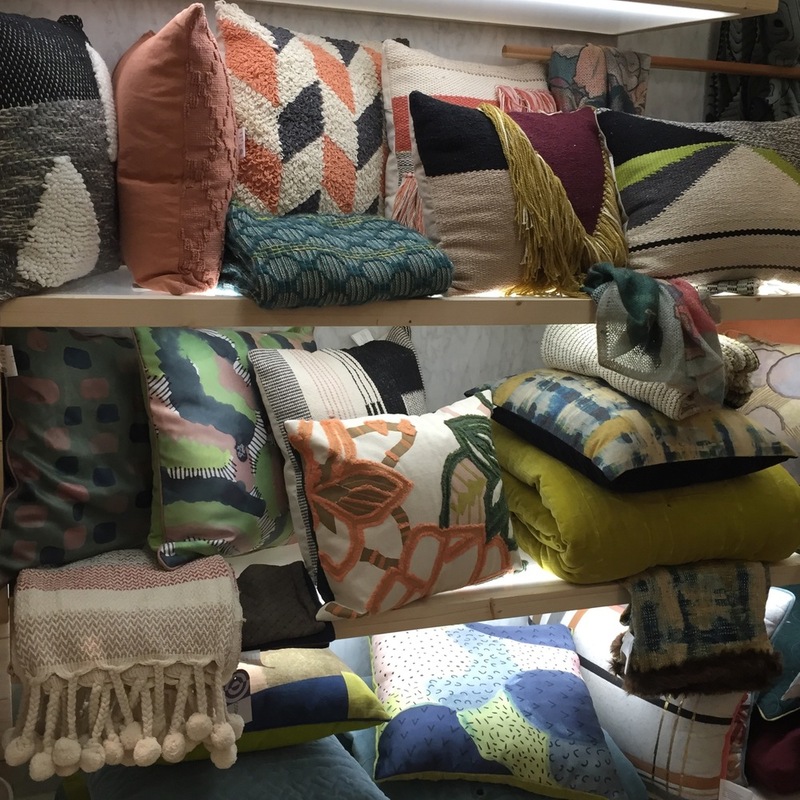 Here are a bunch if ideas that delighted me at Heimtextil. Loved this green wall in the Sustainability trend area created by trend agency WGSN. Many of the plants are hanging in white bubble shipping envelopes - clever! 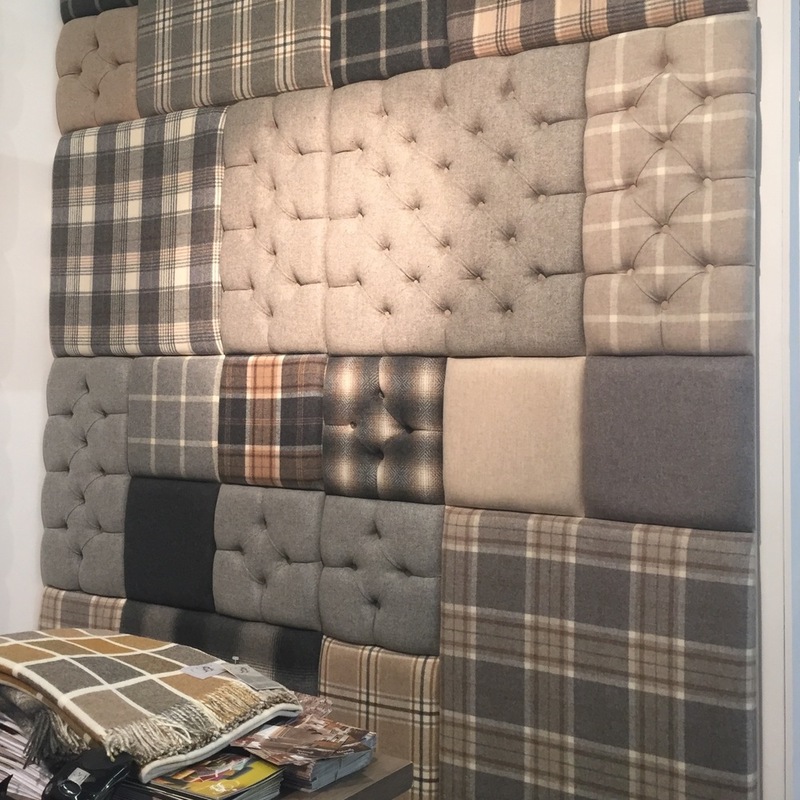 Moon woolens from the UK created this upholstered wall. So cozy looking. A few booths had decoupaged surf boards. Fun! This one is Vilber of Spain. Yellow velvet upholstery - even on the legs. 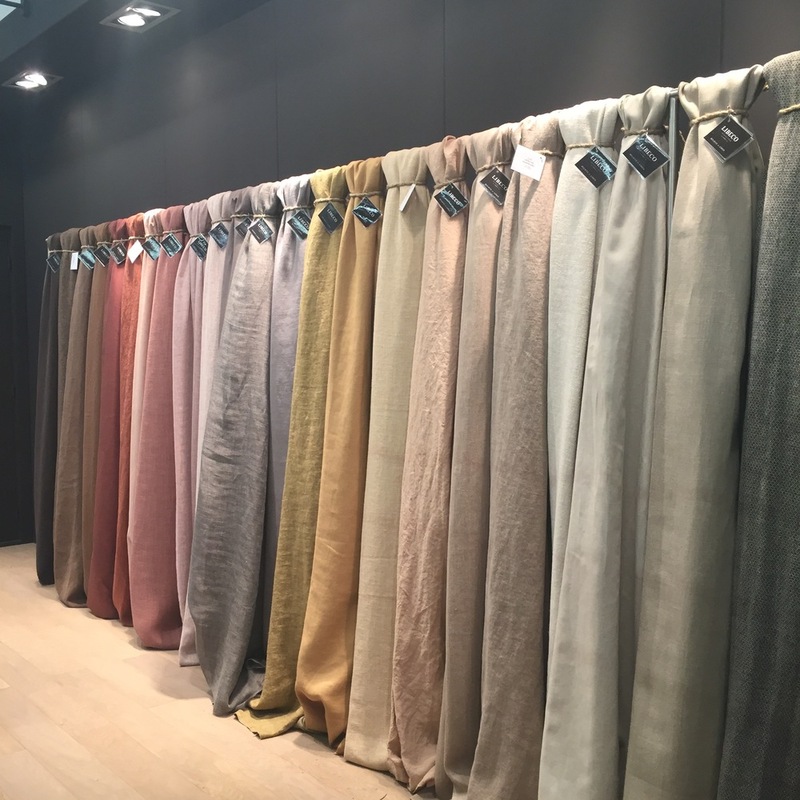 Castilla Textil of Spain. Got a live edge table that's looking a little too 2010? Just add paint...some dribbles. Stack several green stuffed stars with frayed edges to make an alternative Christmas tree. Wacky. A fiat covered in toweling fabrics. Adorbs. 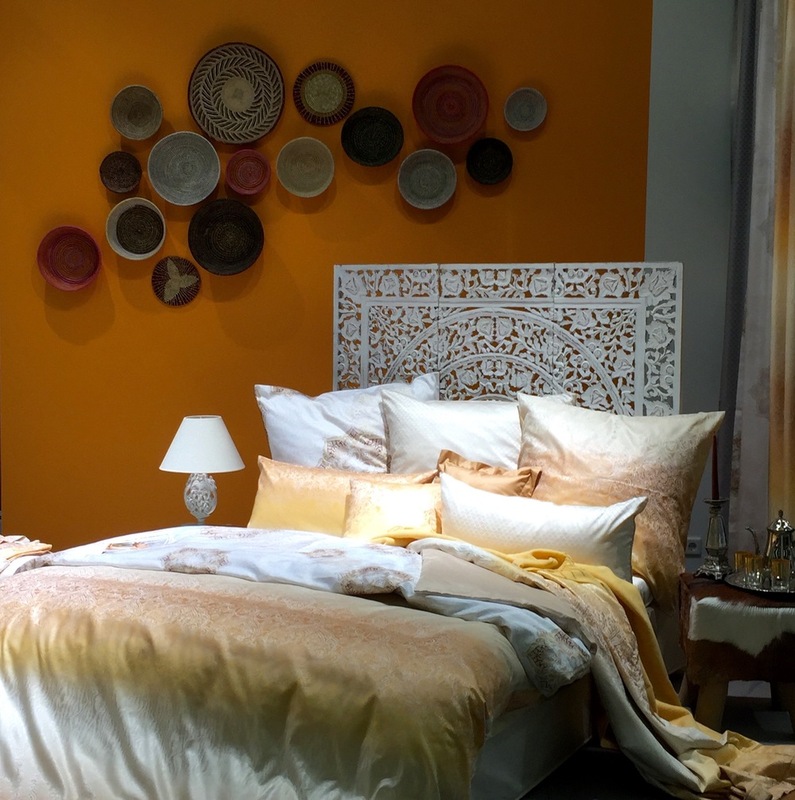 I wanted to run through this swath of linens from Libeco the way kids like to play with drapes. Same feeling but here it's all Peruvian alpaca....ahhhh. Again, perfectly imperfect. Dreamy palette. The twisted throw -- totally stealing this idea! Cool cluster of baskets on the wall. And that wall colour! And the yummy bed. Next level messy bed styling. 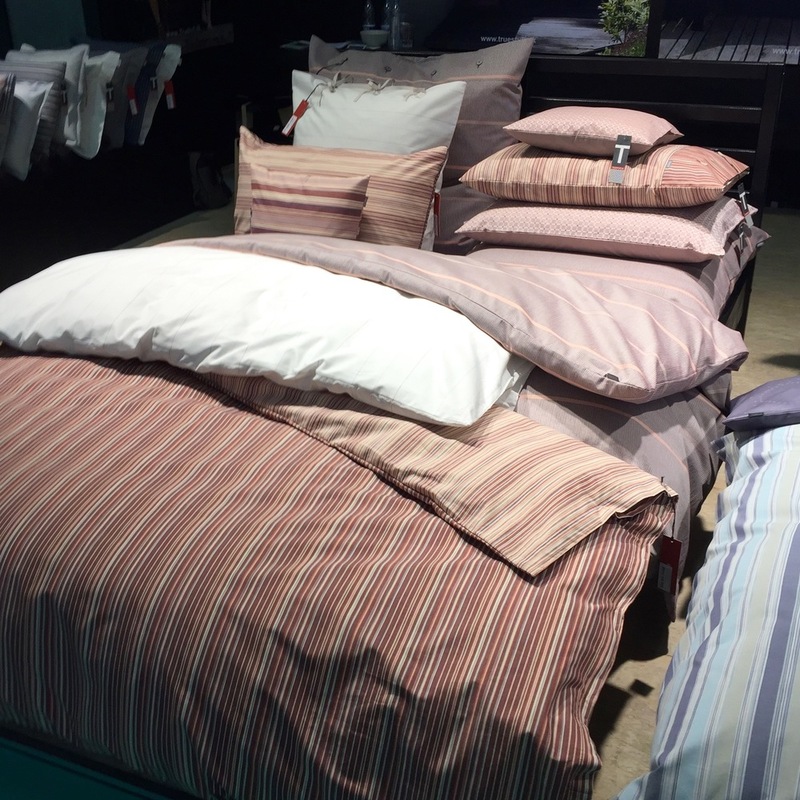 Standard pillow layering on one side, vertical stack on the right plus THREE turned back duvets. Dee-lish. The Princess & the Pea!! Groovy '70s colours. 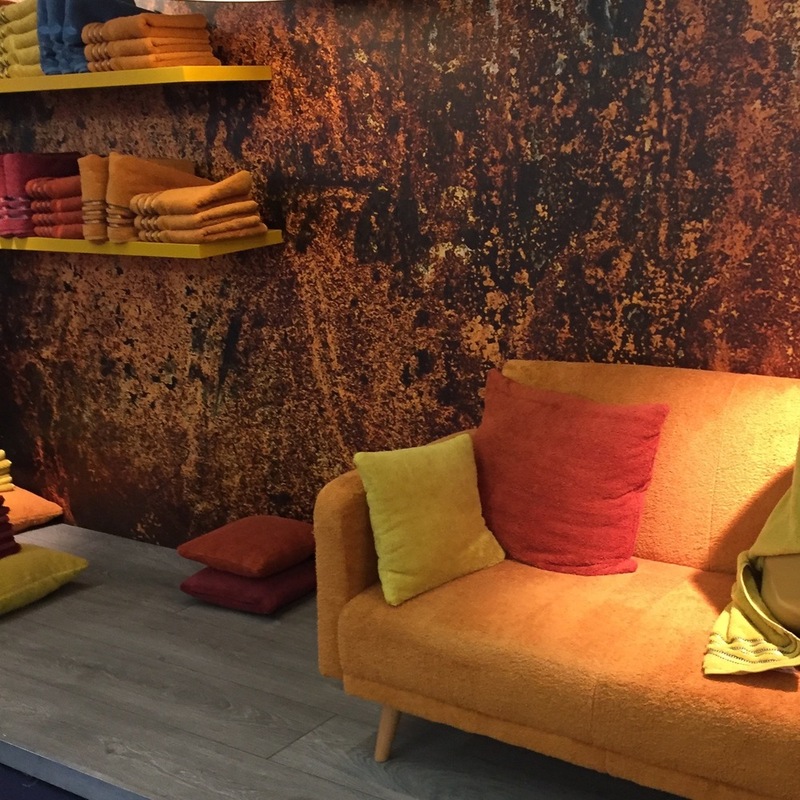 Terry toweling upholstered sofa. Straw totes as pendant lights -- and a boat on top of the booth! 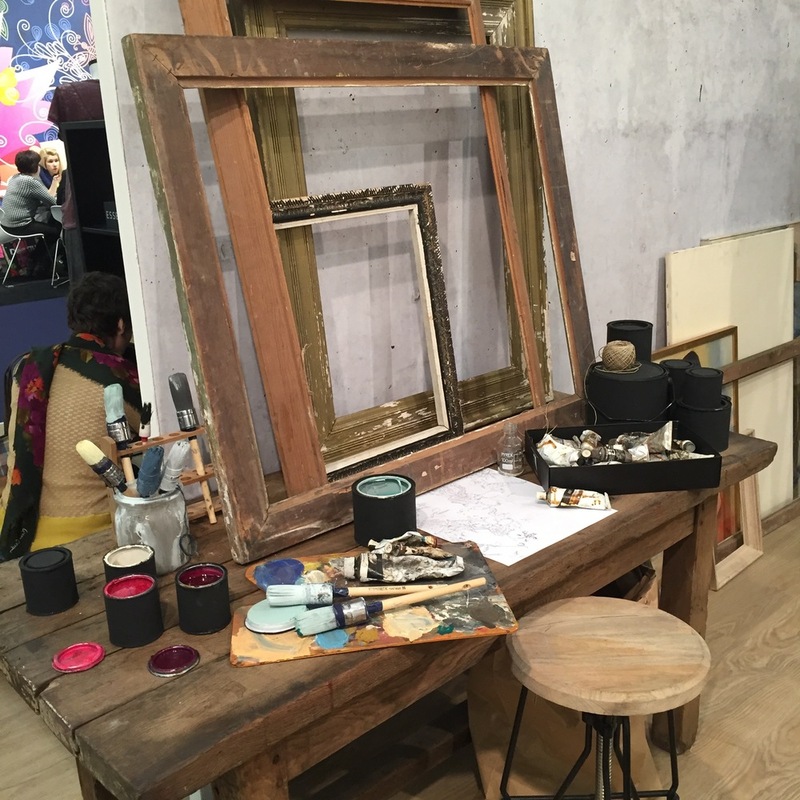 Artists studio styling to promote the notion that this company Essenza is all about original designs. Great booth! Colour messaging is clear and everything is neat and tidy but abundant. Entry to one of the best booths for sure! Art India gorgeousness. And inside the doorway -- even more beauty to behold. Best for last. The Cosmique Global of New Delhi, India booth was by far my fave.